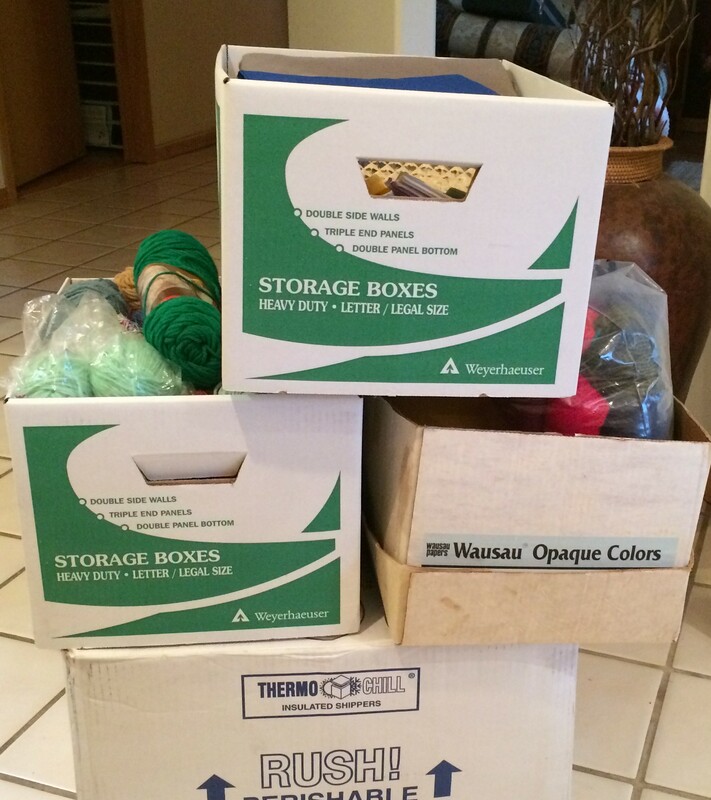 After gym this morning, my friend, Mary, came over with boxes and bags of yarn that had been given her from an estate. It was very unorganized. 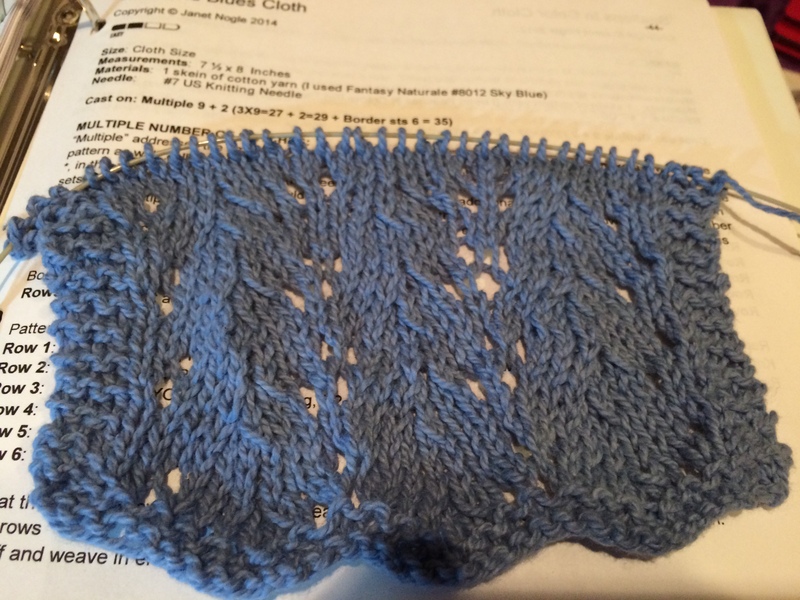 There were started projects, lots of yarn with small cuts and even some skeins not yet touched – a real variety! 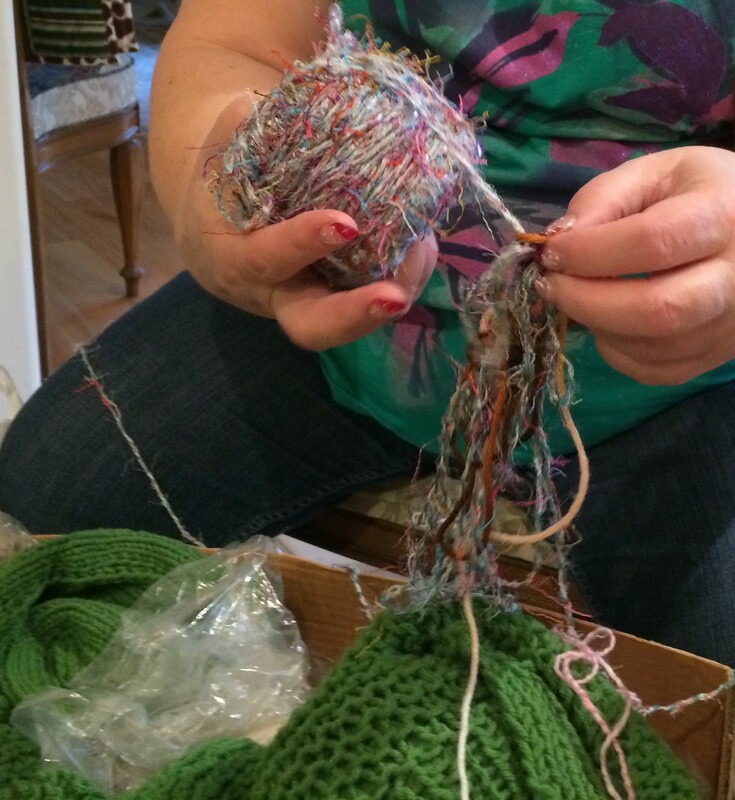 We spent the afternoon untangling and rewinding yarn, put some of the finished articles in a “street people” pile. Some of the started projects and yarns we didn’t feel we would use into a Goodwill box. 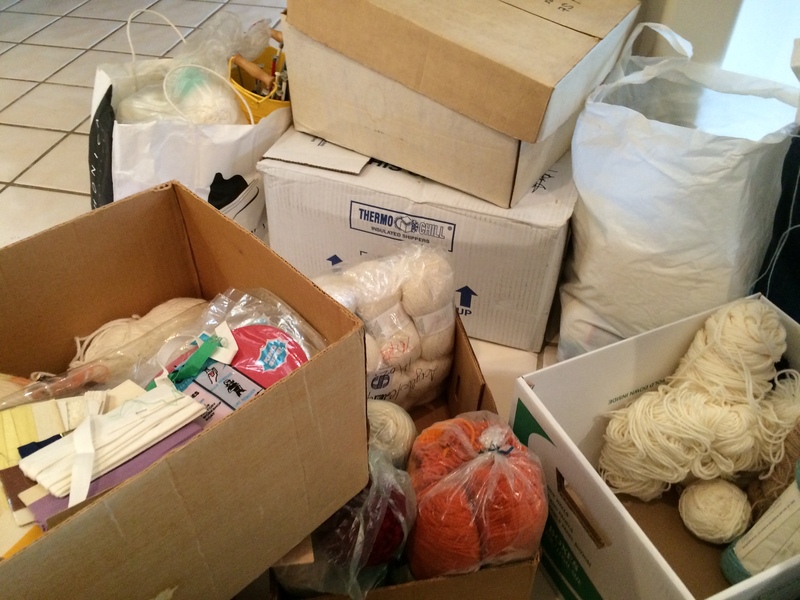 Then there was one box of baby and coned yarn we will use to learn how to use a knitting machine. That left her with 3 boxes of hand knit/crochet yarns, many of were white 4 ply and eventually will be used in projects. And there was one box of sewing supplies, fabric, and knitting needles. It was fun working together to sort through this unruly mess. Wow! I didn’t know you had a knitting machine! Do you like it? I have three of them, but haven’t used them for over 20 years This year, I want to get back to using them.